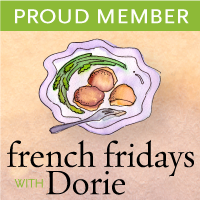 Potato gratin is my pick for this week’s French Fridays with Dorie. 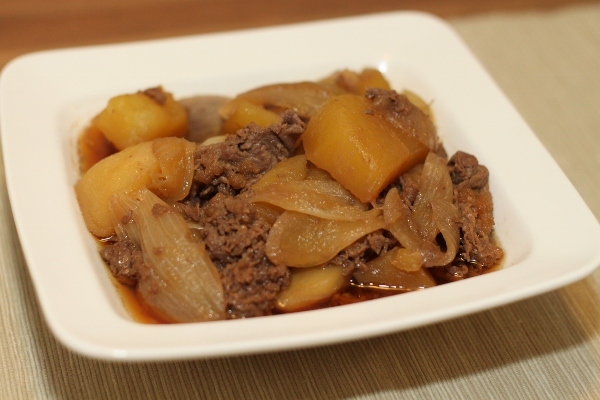 A simple dish but one that fills you up when you take more than a dainty serving! 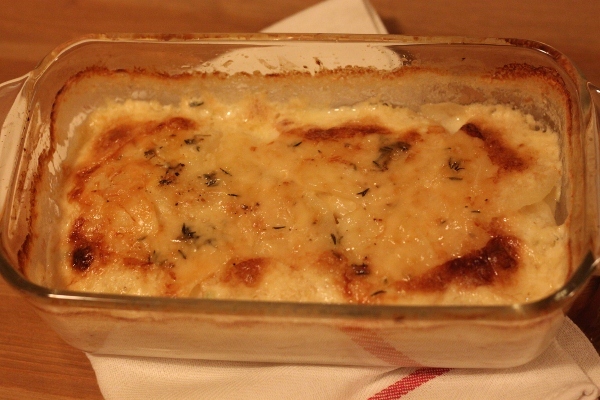 Layers of thinly sliced potatoes baked in garlic-infused heavy cream with a layer of cheese on top. That pretty much describes the dish. 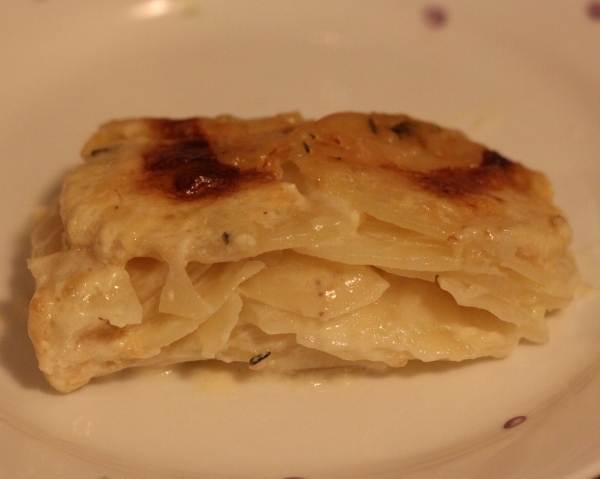 It’s simpler than a scalloped potato recipe because there’s no need to make a white sauce. Just simmer some garlic in the heavy cream and spoon the cream over the potatoes. 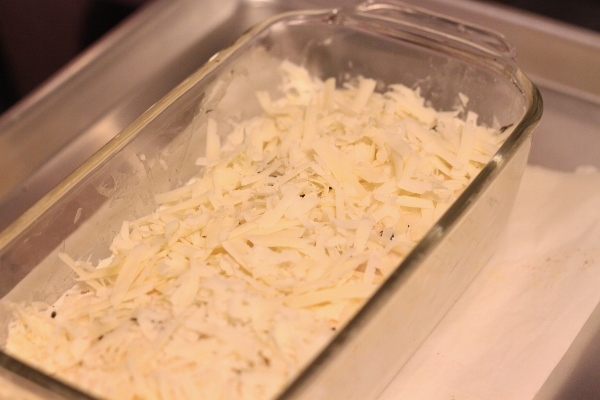 Season the potatoes, add some herbs, grate some Swiss cheese over and into the oven it goes. What you get is a nice stack of creamy, garlicky, tasty potatoes with a cheese crust. The garlic, phew, is strong! The taste and smell lingers in the mouth after the meal. Note to self: reduce garlic and strain the cream next time. 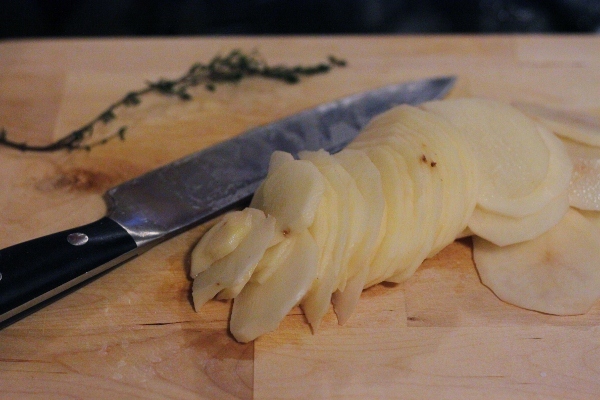 I halved the recipe as there are only 2.5 potato-eaters in my family but the full recipe would be good for dinner parties. Note 2: Look out for mandolines on sale!